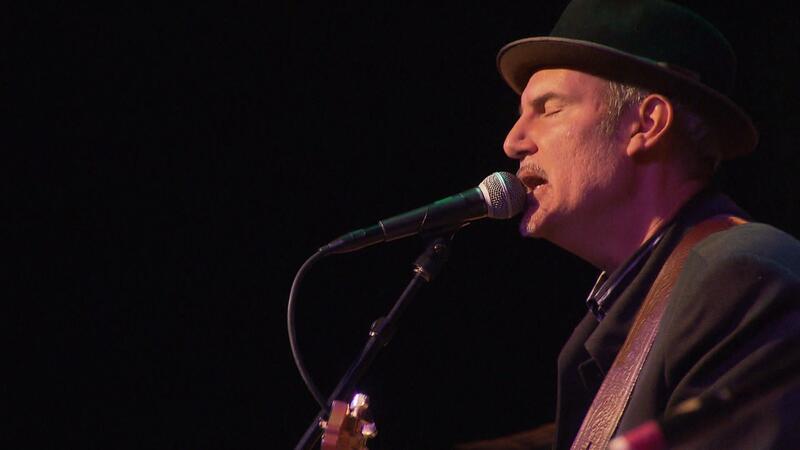 Rock musician Peter Himmelman comes home to play the Cedar Cultural Center and talk about his early days playing with Alexander O'Neal, Shangoya, and Sussman Lawrence. Rock musician Peter Himmelman comes home to play the Cedar Cultural Center and talk about his early days playing with Alexander O'Neal, Shangoya, and Sussman Lawrence. This segment aired as part of MN Original Episode #201. See also: Himmelman's songwriting process "Georgia Clay" "Ever So Slightly" Artist Bio: Critically acclaimed singer/songwriter Peter Himmelman grew up in St. Louis Park. He has recorded numerous albums, composed TV soundtracks -- including a Grammy-nominated song for "Judging Amy", created five albums of children's music, and hosts his own performance/variety show webcasts from his Santa Monica studio. Rock musician Peter Himmelman comes home to play the Cedar Cultural Center.